So you have a day in Miami before your Caribbean cruise? Not sure what to do? Let me make a few suggestions. South Beach is the obvious first choice. There’s plenty to do, see, eat, and drink. You won’t need a car, and it’s less than seven miles from PortMiami! Still need a few things for your cruise? Grab an Uber and head to Lincoln Road. Just a few blocks from the beach, Lincoln Road offers a pedestrian-only mile of shops, restaurants, and bars. See and be seen as you pick up a dress at H&M or Zara, a swimsuit at Beach Bunny, a book at Books & Books, or some sunscreen at Kiehl’s. Getting hungry? Find a seat at one of the many sidewalk cafes. Sample Japanese-Brazilian-Peruvian fusion at Sushi Samba or Cuban cuisine at Havana 1957. 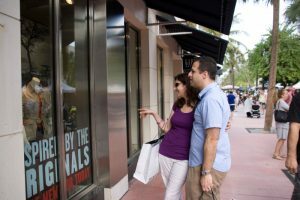 There is literally something for everyone on Lincoln Road. 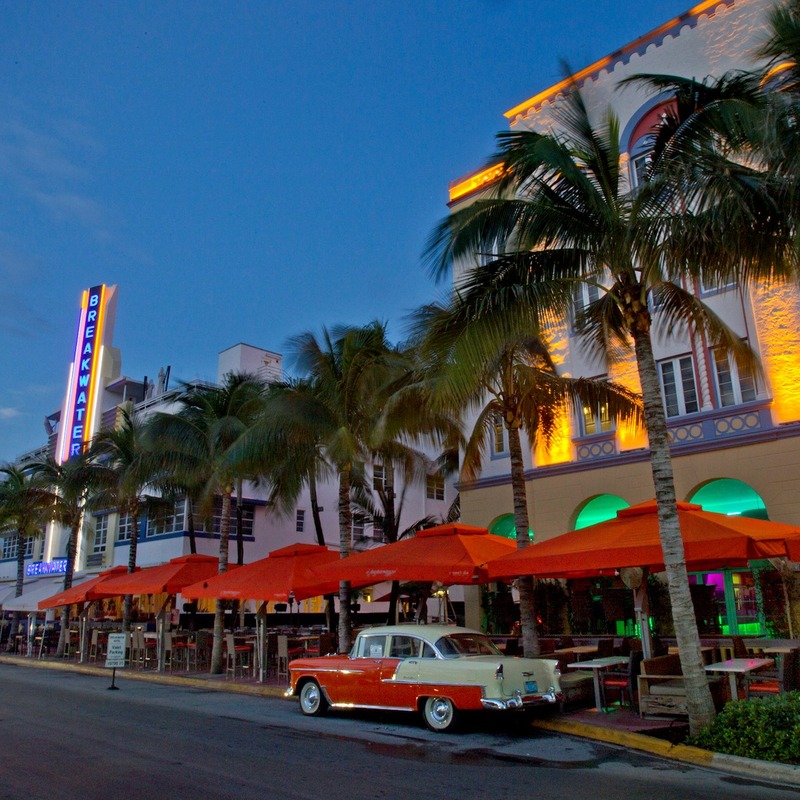 Now wander down Ocean Drive and Collins Avenue. The beachside of the street is better for admiring Art Deco hotels. 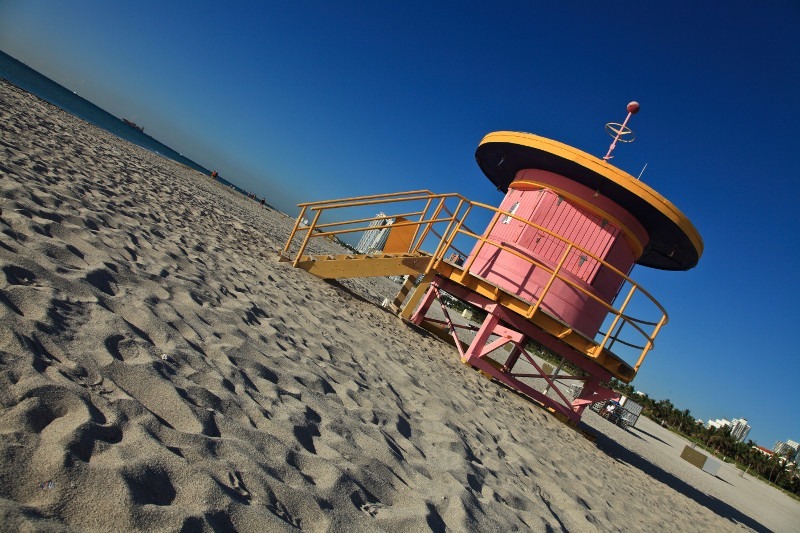 After a 1926 hurricane cleared the way, South Beach real estate and tourism boomed for the next 20 years. There are more than 800 Art Deco buildings on the barrier island. By the ’70s, South Florida’s crown jewel was down on her heels. Then came Miami Vice, a cross between MTV and the movie Scarface. Location scouts would pick a hotel, slap up shades of Pepto pink or mint green, and send in Crockett and Tubbs in their linen jackets with pushed-up sleeves to bust the bad guys. European photographers and swimsuit models looking for warm winter locations followed. 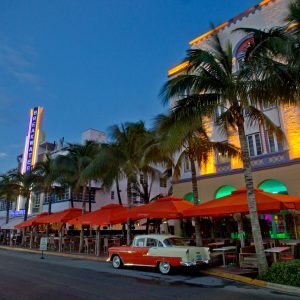 Now Ocean Drive is a parade of candy-colored Streamline Moderne and Nautical Moderne beauties that dazzle in neon at night. Park Central Hotel – 630 Ocean Drive. One of the first hotels renovated in the ’80s, the symmetrical blue and white façade hosted Hollywood heavyweights like Rita Hayworth, Carole Lombard, and Clark Gable when it first opened in 1937. Colony Hotel – 736 Ocean Drive. One of the most photographed buildings on the beach. The Colony’s blue neon shines brightly in the night. The Clevelander – 1020 Ocean Drive. The pool and patio bar have long been a hot spot on South Beach. If you want to be in the center of the action, here it is. The Carlyle – 1250 Ocean Drive. 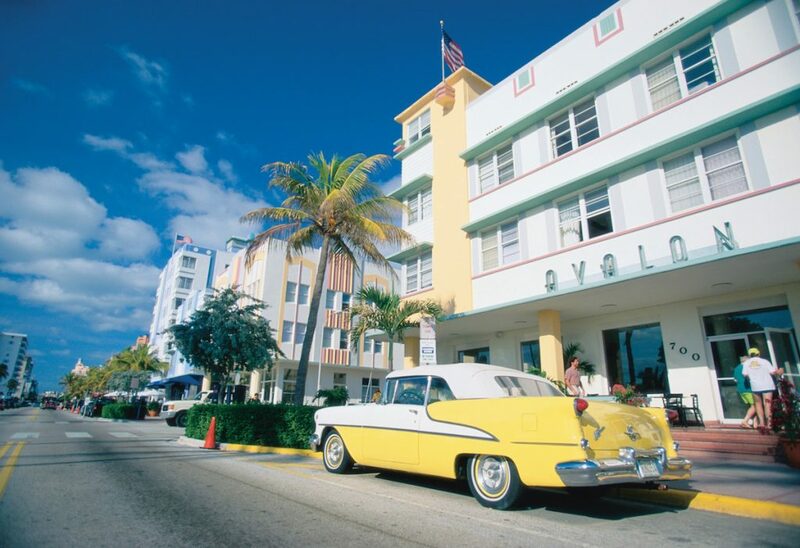 This deco hotel was built in 1939 and has appeared in Scarface, The Birdcage and Bad Boys 2. Casa Casuarina, also known as the Versace Mansion or Amsterdam Palace – 1116 Ocean Drive. Built in 1930 by Alden Freeman, a Standard Oil heir. In 1937, the apartments rented for $30 a month in summer and $600 a month in winter! 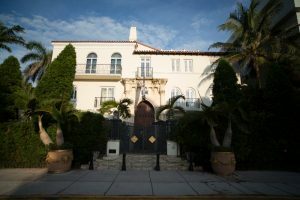 Hundreds of tenants later, Gianni Versace bought the building and the neighboring property for almost $7 million and spent another $32 million on renovations. The building came to the world’s attention when Versace was gunned down on the front steps as he came home from breakfast. Tired of walking? 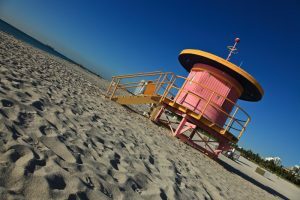 Put on some sunscreen (no point getting burned before your cruise) and spend an hour or so on the beautiful beach with the funky lifeguard stands. After Hurricane Andrew washed away the boring old ones in 1992, architect William Lane designed a few retro Jetsons-style “follies” to replace them. Then to celebrate Miami Beach’s centennial, the city commissioned him to design a few more. A favorite is the shocking pink one on 10th Street. Time for one last taste of South Beach? On your way back to PortMiami, stop at Joe’s Stone Crab (11 Washington Avenue). Perhaps the first restaurant on Miami Beach, Joe’s has been serving locals and tourists since 1913. From October 15 through May 15, waiters in tuxedos will bring you succulent stone crab claws. What makes stone crabs different? Only the oversized (at least 2 ¾ inches long) claw is harvested. The rest of the crab is returned to the ocean where it will regrow its claw three or four times, making it a renewable resource. Joe’s serves them boiled then chilled with melted butter or their famous mustard sauce. Since Joe’s doesn’t take reservations, there’s almost always a line. If you’re in a rush, head around back to Joe’s Take Away; it’s a little more laid-back, but serves the same stone crabs, fried chicken, and the key lime pie Joe’s is famous for.